Listing 121 descendants for 8 generations. 8715. Martha Elizabeth1 BERRY was born 22Nov 1827 in Nashville, Davidson, Tennessee. She was the daughter of Jesse Woods BERRY and Amelia SHANKS. Martha died 17Jun 1885 in Kanosh, Millard, Utah, and was buried Jun 1885 in Panguitch, Garfield, Utah. John D. Lee wrote that he was married to Martha Berry, his eighth wife, during the winter of 1846-1847: "In the temple, I took three more wives, Martha Berry, Polly Ann Workman, and Delethea Morris, and had all my family sealed to me over the altar." Martha was named in John D. Lee's journals, while at both Winter Quarters and Summer Quarters, involved in some of the routine work in which all his wives were engaged. John D. Lee and Martha had five children. Their first, a little girl, was born in 1850 after the family reached Utah and settled in Big Cottonwood. The other four children were born in southern Utah. Martha left Lee in 1857 or 1858. She married Dennis Dorrity, a Mormon, by whom she had six children. She died at Kanosh, Utah, in 1885, at the age of sixty-one. She married (1) John Doyle LEE 1845 in Nauvoo, Hancock, Illinois. + 8716.Fi.Harriet Josephine LEE, born 16Feb 1850, died 23Oct 1922. 8751.Mii.William Orson LEE, born 23May 1852 in Parowan, Iron, Utah. He married Eliza or Elizabeth RIDDLE. She was born about 1852. William died 1908 in Kanosh, Millard, Utah. 8752.Fiii.Armelia LEE, born 1854 in Fort Harmony, Iron, Utah, died in infancy 1854. + 8753.Fiv.Thurza Jane LEE, born 25Oct 1855/1856, died 16Jul 1894. Martha married (2) Dennis Smiling DORRITY. 8716. Harriet Josephine2 LEE (Martha1) was born 16Feb 1850 in Big Cottonwood, Salt Lake, Utah. Harriet died 23Oct 1922 in Moab, Grand, Utah, and was buried 24Oct 1922 in Moab, Grand, Utah. She married Orley Dwight BLISS 12Oct 1867 in Salt Lake City, Salt Lake, Utah. He was born 25Jul 1840 in Palermo, Oswego, New York. + 8717.Fi.Thirza Armelia BLISS, born 4Dec 1872, died 26Dec 1958. 8717. Thirza Armelia3 BLISS (Harriet2, Martha1) was born 4Dec 1872 in Panguitch, Garfield, Utah. Thirza died 26Dec 1958 in Price, Utah. She married Arthur William BIRCH Oct 1892. He was born 22Oct 1869 in St. George, Washington, Utah. Arthur died 17Jan 1917 in Price, Utah. + 8718.Fi.Dora Armelia BIRCH, born 14Apr 1895, died 12May 1980. 8718. Dora Armelia4 BIRCH (Thirza3, Harriet2, Martha1) was born 14Apr 1895 in Wellington, Utah. Dora died 12May 1980 in Salt Lake City, Salt Lake, Utah. She married (1) Harold Keith TEMPLE 13Nov 1916 in Kansas; they divorced. He was born 8Oct 1894 in Brightwater, Arkansas. + 8719.Fi.Ruth Esther TEMPLE, born 22May 1919, died 22Jun 1998. + 8724.Fii.Thirza Louise TEMPLE, born 4Jan 1922. Dora married (2) Calvin HARRIS 1919 in Price, Utah. He was born 12Apr 1874 in Kirksville, Missouri. Calvin died 6Jun 1960 in Price, Utah. + 8735.Fiii.Callie Darlene HARRIS, born 11May 1932. 8719. Ruth Esther5 TEMPLE (Dora4, Thirza3, Harriet2, Martha1) was born 22May 1919 in Pueblo, Colorado. Ruth died 22Jun 1998 in Price, Utah. She married Henry John TOPOLOVEC; they divorced. He was born 28Jan 1915 in Helper, Utah. Henry died 24Jan 1989 in Price, Utah. + 8720.Fi.Billie Jean TOPOLOVEC, born 27Mar 1942. 8720. Billie Jean6 TOPOLOVEC (Ruth5, Dora4, Thirza3, Harriet2, Martha1) was born 27Mar 1942 in Price, Utah. She married Frank BLACKHAM 4Jun 1964 in Price, Utah; they divorced. 8721.Mi.Calvin Frank BLACKHAM, born 2May 1971 in Murray, Utah. He married Jennifer DAY 17Jun 1995 in Logan, Utah. She was born 23Jul 1973. + 8722.Mii.John Ryan BLACKHAM, born 13May 1974. 8722. John Ryan7 BLACKHAM (Billie6, Ruth5, Dora4, Thirza3, Harriet2, Martha1) was born 13May 1974 in Murray, Utah. He married Melissa BUNDERSON 13Aug 1994; they divorced. She was born 24Mar 1975. 8724. Thirza Louise5 TEMPLE (Dora4, Thirza3, Harriet2, Martha1) was born 4Jan 1922 in Price, Utah. She married Nelson John BEHLING 21Feb 1941 in Evanston, Wyoming. He was born 2Jun 1917 in Ferron, Utah. Nelson died 13Mar 1986 in Los Vegas, Clark, Nevada. + 8725.Mi.Terry Link BEHLING, born 15Aug 1943. 8729.Mii.Michael Shawn BEHLING, born 19Feb 1952 in Salt Lake City, Salt Lake, Utah. He married Linda PETERSON 4Jan 1982 in Salt Lake City, Salt Lake, Utah. + 8730.Fiii.Lory Sue BEHLING, born 20May 1958. 8725. Terry Link6 BEHLING (Thirza5, Dora4, Thirza3, Harriet2, Martha1) was born 15Aug 1943 in Price, Utah. He married (1) Julia Ann MARKLE 12Jul 1969 in Las Vegas, Clark, Nevada; they divorced. She was born 16Mar 1951 in Madill, Oklahoma. + 8726.Fi.Donna Jean BEHLING, born 15Jun 1968. 8728.Fii.Terry Ann BEHLING, born 30Jan 1970 in Murray, Utah. She married Michael STAZKO 19Apr 1999 in Dallas, Texas. He was born 27Jun . Terry married (2) Audrey GRAHAM 5Nov 1996 in Las Vegas, Clark, Nevada. She was born 18Aug 1941. 8726. Donna Jean7 BEHLING (Terry6, Thirza5, Dora4, Thirza3, Harriet2, Martha1) was born 15Jun 1968 in Medesto, California. She married Maxwell C HERING 4Sep 1994 in Dallas, Texas. 8727.Fi.Alexandria HERING, born 22Aug 1998 in Dallas, Texas. 8730. Lory Sue6 BEHLING (Thirza5, Dora4, Thirza3, Harriet2, Martha1) was born 20May 1958 in Salt Lake City, Salt Lake, Utah. She married Craig Allen FABBI 18Nov 1977 in St. George, Utah. He was born 10Jun 1954 in Las Vegas, Clark, Nevada. 8731.Fi.Melissa Louise FABBI, born 7May 1980 in Las Vegas, Clark, Nevada. 8732.Mii.Marc Donald FABBI, born 22Aug 1982 in Las Vegas, Clark, Nevada, died in childhood 27Feb 1987 in Las Vegas, Clark, Nevada. 8733.Fiii.Alisha Rebecca FABBI, born 1Aug 1988 in Las Vegas, Clark, Nevada. 8734.Miv.Allen Nelson FABBI, born 23Sep 1991 in Las Vegas, Clark, Nevada. 8735. Callie Darlene5 HARRIS (Dora4, Thirza3, Harriet2, Martha1) was born 11May 1932 in Price, Utah. She married Deward Parley McMURDIE 5Jan 1954 in Salt Lake City, Salt Lake, Utah. He was born 18Sep 1924 in Victor, Idaho. Deward died 4Jul 1999 in Salt Lake City, Salt Lake, Utah. + 8736.Fi.Cheryl Ruth McMURDIE, born 30Jun 1957. + 8740.Fii.Doralee McMURDIE, born 8May 1959. + 8742.Fiii.Merilynn McMURDIE, born 6Sep 1963. + 8744.Fiv.Tori Jean McMURDIE, born 30Mar 1971. + 8748.Fv.Charla Kay McMURDIE, born 2Dec 1973. 8736. Cheryl Ruth6 McMURDIE (Callie5, Dora4, Thirza3, Harriet2, Martha1) was born 30Jun 1957 in Los Angeles, Los Angeles, California. She married (1) Matthew David FEICHKO 19Feb 1977; they divorced. 8737.Mi.Matthew David FEICHKO, born 12Sep 1977 in Salt Lake City, Salt Lake, Utah. 8738.Mii.Jared Shein FEICHKO, born 27Jan 1979 in Salt Lake City, Salt Lake, Utah. Cheryl married (2) William MOORE 1Sep 1979; they divorced. 8739.Miii.Adam Eric MOORE, born 28Nov 1980 in Salt Lake City, Salt Lake, Utah. Cheryl married (3) Bobby Roy MORTENSEN 30Jan 1993 in Salt Lake City, Salt Lake, Utah. He was born 22Jun 1957 in Los Angeles, Los Angeles, California. 8740. Doralee6 McMURDIE (Callie5, Dora4, Thirza3, Harriet2, Martha1) was born 8May 1959 in Los Angeles, Los Angeles, California. She married Steven Thomas JONES 29Jun 1978 in Salt Lake City, Salt Lake, Utah; they divorced. 8741.Fi.Jennifer Lynn JONES, born 31Jul 1981 in West Valley City, Utah. 8742. Merilynn6 McMURDIE (Callie5, Dora4, Thirza3, Harriet2, Martha1) was born 6Sep 1963 in Salt Lake City, Salt Lake, Utah. She married Mark LLOYD 29Mar 1980 in Salt Lake City, Salt Lake, Utah. He was born 15Aug 1960 in Salt Lake City, Salt Lake, Utah. 8743.Mi.Jeremy Mark LLOYD, born 16Sep 1980 in Salt Lake City, Salt Lake, Utah. 8744. Tori Jean6 McMURDIE (Callie5, Dora4, Thirza3, Harriet2, Martha1) was born 30Mar 1971 in Salt Lake City, Salt Lake, Utah. She married Nathan Drew POPE 16Sep 1989 in Salt Lake City, Salt Lake, Utah. He was born 6Sep 1965. 8745.Mi.Mitchell Drew POPE, born 28Apr 1994 in Salt Lake City, Salt Lake, Utah. 8746.Fii.Callie Diane POPE, born 13Feb 1997 in Salt Lake City, Salt Lake, Utah. 8747.Miii.Nathan Parker POPE, born 3Dec 1999 in Salt Lake City, Salt Lake, Utah. 8748. Charla Kay6 McMURDIE (Callie5, Dora4, Thirza3, Harriet2, Martha1) was born 2Dec 1973 in Salt Lake City, Salt Lake, Utah. She married Shawn Glen TODD 10Sep 1993 in Salt Lake City, Salt Lake, Utah. He was born 6Apr 1973 in Salt Lake City, Salt Lake, Utah. He is the son of Leo TODD and Colleen ELLISON. 8749.Mi.Shawn Braiden TODD, born 6Mar 1994 in Salt Lake City, Salt Lake, Utah. 8750.Mii.Ethan Harris TODD, born 9Sep 1997 in Salt Lake City, Salt Lake, Utah. 8753. 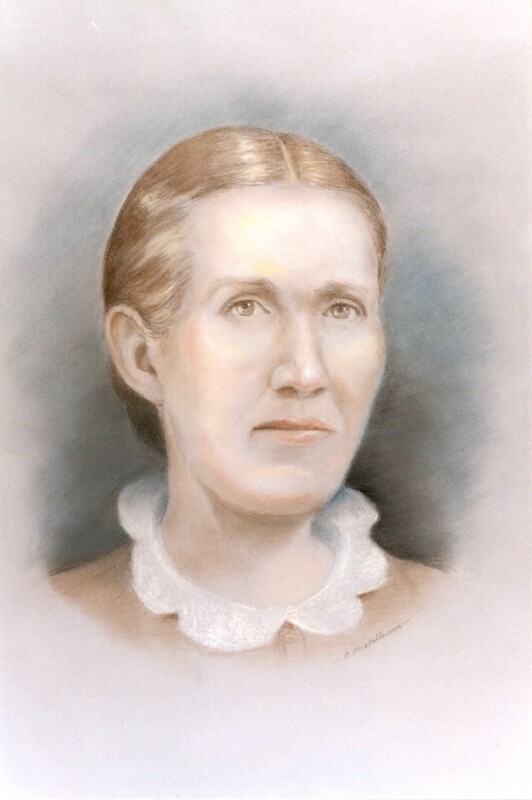 Thurza Jane2 LEE (Martha1) was born 25Oct 1855/1856 in Palmyra, Utah, Utah. Thurza died 16Jul 1894 in Meadow, Millard, Utah, and was buried 18Jul 1894 in Kanosh, Millard, Utah. She married (1) Allen HODGSON 28Feb 1878. Thurza married (2) Oscar Alford ANDERSON 28May 1878 in Meadow, Millard, Utah. He was born 21Oct 1854 in Copenhagen, Copenhagen, Denmark. Oscar died 30Nov 1922 in Meadow, Millard, Utah, and was buried 3Dec 1922 in Kanosh, Millard, Utah. 8754.Fi.Mary Elizabeth ANDERSON, born 8Mar 1879 in Kanosh, Millard, Utah. She married Clarence A. BARNEY 10Aug 1897. Mary died 30Nov 1927. 8755.Mii.Oscar Alford ANDERSON, Jr., born 26Oct 1880 in Kanosh, Millard, Utah. He married Annie Chelsea MILLS 16Dec 1899. 8756.Miii.Hakan William ANDERSON, born 29Jun 1882 in Kanosh, Millard, Utah. 8757.Miv.Joseph Doyle ANDERSON, born 22Jul 1884 in Kanosh, Millard, Utah, died 20Sep 1947. + 8758.Mv.Dennis Marion ANDERSON, born 11Nov 1886. 8833.Fvi.Harriet Elnora ANDERSON, born 15Feb 1889 in Elsinore, Sevier, Utah, died 7Aug 1926. 8834.Fvii.Thirza Lavina ANDERSON, born 2Dec 1891 in Joseph, Sevier, Utah. She married Luther WINGET 31Aug 1910. 8758. Dennis Marion3 ANDERSON (Thurza2, Martha1) was born 11Nov 1886 in Meadow, Millard, Utah. He married Clara EATON 3Jul 1906 in Richfield, Sevier, Utah. She was born 28Aug 1886 in Alton, Osborne, Kansas. She was the daughter of Orson EATON and Clarissa MILLER. Clara died 23Feb 1936 in Monarch, Uintah, Utah, and was buried 26Feb 1936 in Monarch, Uintah, Utah. 8759.Mi.Oscar Dennis ANDERSON, born 31Mar 1908 in Hayden, Utah. + 8760.Fii.Sylvia Clara ANDERSON, born 5Jul 1909, died 14Aug 1998. 8779.Fiii.Rose Lavina ANDERSON, born 31Jan 1911 in Cedarview, Duchesne, Utah. She married Donald GARDNER 22Sep 1936. 8780.Uiv. ________ ANDERSON, born 21Jul 1912 in Cedarview, Duchesne, Utah, died in infancy 21Jul 1912 in Cedarview, Duchesne, Utah. 8781.Mv.Doyal Marion ANDERSON, born 22Aug 1913 in Cedarview, Duchesne, Utah. He married Afton HENDRICKS 23Nov 1939. + 8782.Fvi.Golda Jane ANDERSON, born 20Jun 1916. 8788.Uvii. ________ ANDERSON, born 27Aug 1918 in Cedarview, Duchesne, Utah. 8789.Fviii.Jennie Irene ANDERSON, born 4Aug 1919 in Monarch, Duchesne, Utah. She married William HOUSE. + 8790.Mix.Haken Nate ANDERSON, born 8Dec 1921. 8832.Fx.Thirza Pearl ANDERSON, born 15Nov 1923 in Monarch, Duchesne, Utah. She married Francis M. SHILMER 22Feb 1942. 8760. Sylvia Clara4 ANDERSON (Dennis3, Thurza2, Martha1) was born 5Jul 1909 in Cedarview, Duchesne, Utah. Sylvia died 14Aug 1998 in St.George, Washington, Utah. She married Dalton Edward HUNT 13Jun 1930. He was born 14Jun 1907 in Measer, Uintah, Utah. He was the son of Edward Moroni HUNT and Candace Jeanette BROWN. Dalton died 17Apr 1984 in St.George, Washington, Utah. 8761.Fi.Evelyn HUNT, born about 1935. + 8762.Fii.Norma HUNT, born 5Apr 1931. + 8769.Miii.LaGrand Dalton HUNT, born 7Jul 1939. 8778.Fiv.Sylvia Rae HUNT, born 9Jul 1941. 8762. Norma5 HUNT (Sylvia4, Dennis3, Thurza2, Martha1) was born 5Apr 1931 in Monarch, Duchesne, Utah. She married Paul Chipman FLETCHER. He was born 10Jan 1926 in New York, Manhattan, New York. 8763.Mi.Gregory Paul FLETCHER, born 6Apr 1956 in New York, Manhattan, New York. 8764.Mii.Eugene Scott FLETCHER, born 13Sep 1957 in Los Angeles, Los Angeles, California. 8765.Miii.Mark Stanley FLETCHER, born 9Mar 1962 in Burbank, Los Angeles, California. 8766.Fiv.Cheryl Lynne FLETCHER, born 8Aug 1964 in Van Nuys, Los Angeles, California. 8767.Mv.Gary Michael FLETCHER, born 13Aug 1966 in Boston, Suffolk, Massachusetts. 8768.Mvi.James Douglas FLETCHER, born 14Apr 1970 in La Mesa, San Diego, California. 8769. LaGrand Dalton5 HUNT (Sylvia4, Dennis3, Thurza2, Martha1) was born 7Jul 1939 in Logan, Cache, Utah. He married Emma Kaye LARSON 24Dec 1958 in LasVegas, Clark, Nevada. She was born 13Aug 1941 in Preston, Franklin, Idaho. She is the daughter of Christian James LARSON and Orba JORGENSEN. + 8770.Mi.LaGrand HUNT, Jr., born 21Mar 1960, died May 1985. + 8772.Fii.Orba Jean HUNT, born 23Sep 1961. 8777.Miii.Dennis Allen HUNT, born 6Aug 1965 in Preston, Franklin, Idaho. He married Suzy BERNAL. She was born 1950. She is the daughter of Leonor O. BERNAL. 8770. LaGrand6 HUNT, Jr. (LaGrand5, Sylvia4, Dennis3, Thurza2, Martha1) was born 21Mar 1960 in Mountain Home, Elmore, Idaho. LaGrand, Jr. died May 1985 in Parker, Arizona. He married Katherine HOSKINSON in St.George, Washington, Utah. She was born 1959 in Salt Lake City, Salt Lake, Utah. Katherine died 1982 in Salt Lake City, Salt Lake, Utah. 8771.Mi.Bryan Allen HUNT, born 11Sep 1981. 8772. Orba Jean6 HUNT (LaGrand5, Sylvia4, Dennis3, Thurza2, Martha1) was born 23Sep 1961 in Mountain Home, Elmore, Idaho. She married Michael Wayne SMITH 26Jan 1984 in Las Vegas, Clark, Washington. He was born 11Nov 1955 in Los Angeles, Los Angeles, California. He is the son of James Amos SMITH and Barbara May LEE. 8773.Mi.Joshua Lee SMITH, born 30Sep 1981 in Lake Havasu City, Arizona. 8774.Fii.Jenay Marie SMITH, born 14Sep 1984 in Fullerton, California. 8775.Miii.Shane Alan SMITH, born 19May 1989 in Orange, Orange, California. 8776.Fiv.Shannon Nicole SMITH, born 3Nov 1992 in Tustin, California. 8782. Golda Jane4 ANDERSON (Dennis3, Thurza2, Martha1) was born 20Jun 1916 in Cedarview, Duchesne, Utah. She married Harvey Dee ADAMS 26Feb 1934 in Salt Lake City, Salt Lake, Utah. He was born 1Jan 1914 in Vernal, Uintah, Utah. He is the son of Stephen Albert ADAMS and Sarah Alice EVANS. 8783.Fi.LaRene ADAMS, born 5Aug 1935 in Roosevelt, Duchesne, Utah. 8784.Mii.Marion Dee ADAMS, born 21Aug 1936 in Montevel, Duchesne, Utah. 8785.Fiii.Valeen ADAMS, born 21Mar 1938 in Montevel, Duchesne, Utah. 8786.Fiv.Naomi ADAMS, born 4Dec 1939 in Montevel, Duchesne, Utah. 8787.Mv.Stanley J. ADAMS, born 10Jun 1949 in Roosevelt, Duchesne, Utah. 8790. Haken Nate4 ANDERSON (Dennis3, Thurza2, Martha1) was born 8Dec 1921 in Cedarview, Duchesne, Utah. He married Adelma FENN 8Sep 1948. She was born 12Jul 1931 in Preston, Franklin, Idaho. + 8791.Mi.Dennis Haken ANDERSON, born 16Jun 1949. + 8796.Mii.Gregory Ray ANDERSON, born 20Nov 1950. 8805.Miii.Dwain Allen ANDERSON, born 14May 1952 in Ontario, Malheur, Oregon. + 8806.Fiv.Barbra Ann ANDERSON, born 1Nov 1953, died 21Aug 1966. 8811.Mv.Michael Leon ANDERSON, born 14Dec 1955 in Ontario, Malheur, Oregon. + 8812.Fvi.Beth Louise ANDERSON, born 4Dec 1957. 8818.Mvii.Mark Douglas ANDERSON, born 26Mar 1960 in Ontario, Malheur, Oregon, died 1Mar 1980. + 8819.Fviii.Clara Deloris ANDERSON, born 13Feb 1962. 8822.Mix.Arnold Clay ANDERSON, born 17May 1963 in Ontario, Malheur, Oregon, died in childhood 24Jan 1968. 8823.Mx. ________ ANDERSON, born 11Oct 1965 in Ontario, Malheur, Oregon, died in infancy 11Oct 1965 in Ontario, Malheur, Oregon. 8824.Mxi. ________ ANDERSON, born 11Oct 1965 in Ontario, Malheur, Oregon, died in infancy 11Oct 1965 in Ontario, Malheur, Oregon. + 8825.Fxii.Donna Mae ANDERSON, born 5Apr 1967. + 8829.Mxiii.Andrew Miles ANDERSON, born 21Oct 1968. 8831.Fxiv.Ruth Elaine ANDERSON, born 22Sep 1970 in Nyssa, Malheur, Oregon. 8791. Dennis Haken5 ANDERSON (Haken4, Dennis3, Thurza2, Martha1) was born 16Jun 1949 in Nyssa, Malheur, Oregon. He married Emma MAIN. 8792.Fi.Sharon Louise ANDERSON, born 5Aug 1973. 8793.Mii.Dennis Haken "Denny" ANDERSON, born 6Jan 1975. 8794.Fiii.Lorretta Kay ANDERSON, born 10Nov 1978. 8795.Miv.Derwin Pressely ANDERSON, born 29Sep 1990. 8796. Gregory Ray5 ANDERSON (Haken4, Dennis3, Thurza2, Martha1) was born 20Nov 1950 in Little Valley, Oregon. He married Karen TOLMAN. 8797.Mi.Jason Marian ANDERSON, born 24May 1974. 8798.Fii.Rashelle Joyce ANDERSON, born 18Nov 1975. 8799.Fiii.Jennifer Marie ANDERSON, born 10Feb 1977. 8800.Fiv.Tonya Kay ANDERSON, born 27Feb 1978. 8801.Mv.Jade Haken ANDERSON, born 10Sep 1979. 8802.Fvi.Mandy Larraine ANDERSON, born 2Dec 1981. 8803.Fvii.Malinda Dawn ANDERSON, born 27Nov 1985. 8804.Mviii.Jacob Dwain ANDERSON, born 4Jan 1990. 8806. Barbra Ann5 ANDERSON (Haken4, Dennis3, Thurza2, Martha1) was born 1Nov 1953 in Ontario, Malheur, Oregon. Barbra died 21Aug 1966. She married Michael KING. 8807.Mi.Michael Duane KING, born 16Apr 1979. 8808.Mii.Jeremy Douglas KING, born 30Dec 1980. 8809.Miii.Samuel Joshua KING, born 17Nov 1984. 8810.Fiv.Misty Brooke KING, born 30Oct 1989. 8812. Beth Louise5 ANDERSON (Haken4, Dennis3, Thurza2, Martha1) was born 4Dec 1957 in Ontario, Malheur, Oregon. She married George HATHAWAY. 8813.Fi.Andrea Louise HATHAWAY, born 12Feb 1978. 8814.Mii.Ryan Mathew HATHAWAY, born 1Dec 1979. 8815.Fiii.Angie Ruth HATHAWAY, born 29Jun 1982. 8816.Miv.Anthony Edward HATHAWAY, born 29Jun 1982. 8817.Fv.Emily Rose HATHAWAY, born 26Apr 1985. 8819. Clara Deloris5 ANDERSON (Haken4, Dennis3, Thurza2, Martha1) was born 13Feb 1962 in Ontario, Malheur, Oregon. She married Eddie BRATHWAITE. 8820.Mi.Marc Douglas BRATHWAITE, born 30Oct 1987. 8821.Fii.Dana Marie BRATHWAITE, born 11May 1992. 8825. Donna Mae5 ANDERSON (Haken4, Dennis3, Thurza2, Martha1) was born 5Apr 1967 in Nyssa, Malheur, Oregon. She married Pete CARILLIO. 8826.Fi.Rosa Elaine CARILLIO, born Aug 1986. 8827.Mii.Pedro Andrew "Petey" CARILLIO, born 15Apr 1988. 8828.Miii.Enrique Joe "Ricky" CARILLIO, born 4Oct 1995. 8829. Andrew Miles5 ANDERSON (Haken4, Dennis3, Thurza2, Martha1) was born 21Oct 1968 in Nyssa, Malheur, Oregon. He married Janet. 8830.Mi.Christian Andrew ANDERSON, born 2Apr 1994.